Not eating banana on weight loss diet?. That means you are also following the myth about banana that is banana helps to gain more weight. Most of the people will suggest you to don't eat banana if you are on weight loss diet. But do you really know that banana helps you to gain more weight?. Lets see this. Banana is one of high calorie contain fruit. In 100 grams of banana you will get nearly 90 calories. You can read here about nutritional value of banana. Because of this banana comes under weight gaining fruit. 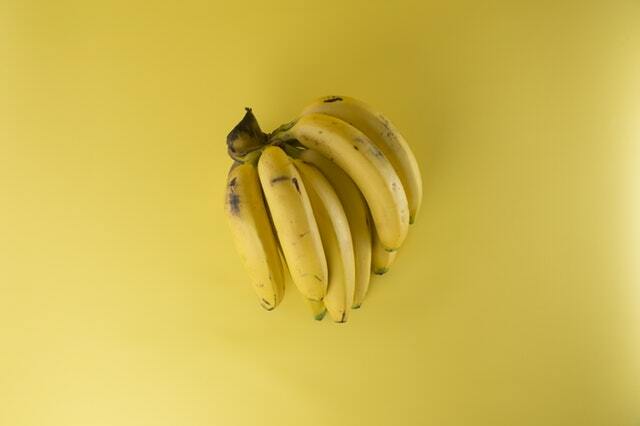 Not only banana contains vitamins like C vitamin, B6 vitamin and A vitamin but also it's rich source of minerals like copper, manganese and magnesium. Also Read:- What To Eat Before Hitting Gym In Morning? Some people spread myth about a banana that is banana contains 100 calories and also they are a high glycemic index food, that is it will help you to put on more weight. That's not true if you see the GI score of banana is around 50 according to Harvard Health Publications. So they are classified as medium or low GI food. Also, if they are providing around 100 calories, These calories are not an empty calorie, like sugar based drinks. The sugar which comes from the fruit digest differently when compared to processed sugar. When you eat banana, you will observe that it gives you a fullness feeling. A single fruit can never helps you to put on weight by itself. Fat gain is occur mostly calories which are coming from you eat whole day. Not only from the banana. If you eat more foods which contains processed sugar and carbs, You are probably helping to gain more weight. A banana gives you around 90 calories from 100 gram of banana which is not even 10% of the calories that is 2000 calories which is intake of daily requirement. So conclusion is calories coming from few of bananas does not makes you to gain more weight. If you are done your diet properly, you can never be worried about eating banana. Having a proper and balanced diet is a more healthy way to lose weight.